We uploaded wheat RH Maps (from IWGSC) with marker positions in cM. Persephone automatically links maps by common markers, so if you align a chromosome map based on sequence with a corresponding genetic map, the tracks with markers on both maps will appear to be connected. 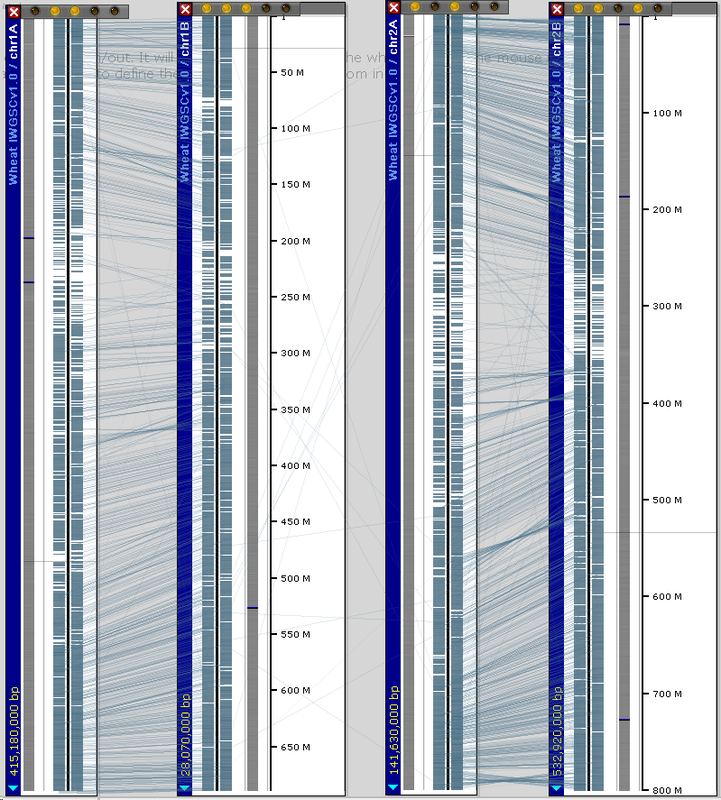 The same visualization, based on orthologous gene pairs, is also available for showing synteny between chromosomes of wheat and rice. In wheat, if you align A chromosomes vs. B chromosomes, you can visualize similarity and structural rearrangements between them.